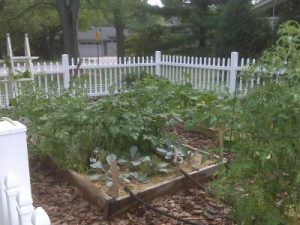 We use a garden plot in front of the St. Francis rectory to grow and harvest herbs, vegetables and flowers. In past years, each harvest has produced over 180 lbs. of produce – all delivered to the pantry at Foundations Preschool of Ann Arbor (Perry) (child care center for at-risk children and their families). The Garden is dedicated to peace and tranquility! This second garden is of Michigan native plants. 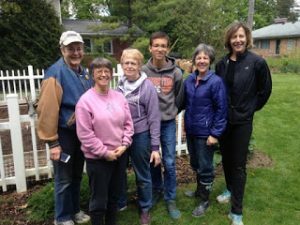 The St. Francis Sustainable Garden Seed and Seedling Sale will normally be after Masses on a Sunday in May. What will be on sale? We will have tomato and herb seedlings as well as seeds we have acquired from other organic sources. What does this money go to? These funds help us obtain garden materials that we use for everyday maintenance of our garden, including stakes, straw for mulching, etc.